We were up early this morning and drove over to Brainard Lake. Good fortune was with us as the very large Shiskas bull moose was there. Fog was rising off the lake and the morning light was very nice. When the sun was warming up the moose the fog was also coming off of him. Brainard Lake was behind the bull moose with lots of fog rising. It got down to the high 30 degrees at this altitude last night. 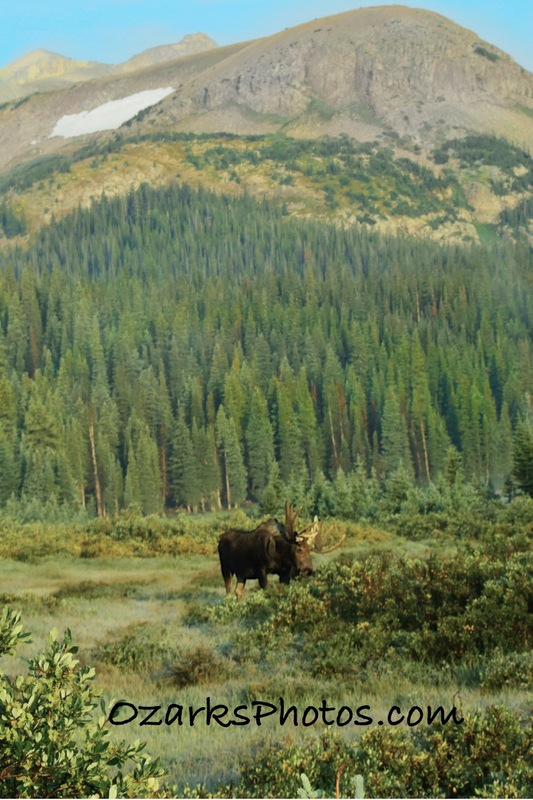 Bull moose grazing in the meadow near Brainard Lake with one of the mountains in the background.